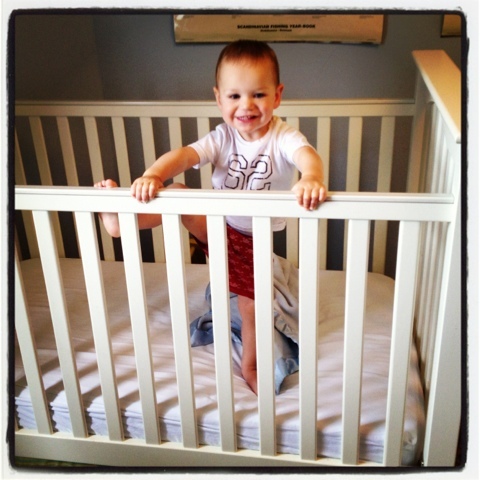 Chris and Sonja - The Sweet Seattle Life: Perhaps it is time to ditch the crib? 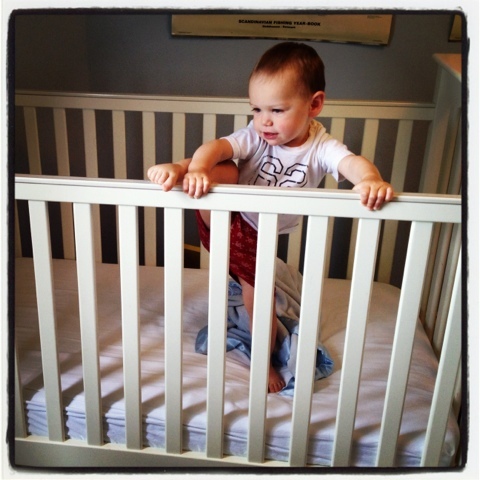 Perhaps it is time to ditch the crib? No, no, no! Keep him in there as long as you can! Oh my Lord...don't do it!!! If he tries to climb out get a crib tent. Serioiusly...G climbed out at 18 months and things were never the same. And I had to relocate L due to her sleeping arrangements at CDO and it has never been the same for her either. If you value your sleep keep him in there. If I had had my ideal way...my kids would have stayed in until they were at least 3.
haha, It sounds like both of you have loads of experience in this department!!! I definitely don't want to move him into a big bed - we get too little sleep as it is. I keep expecting to hear a big 'thunk' one of these days during nap time, followed by howls.